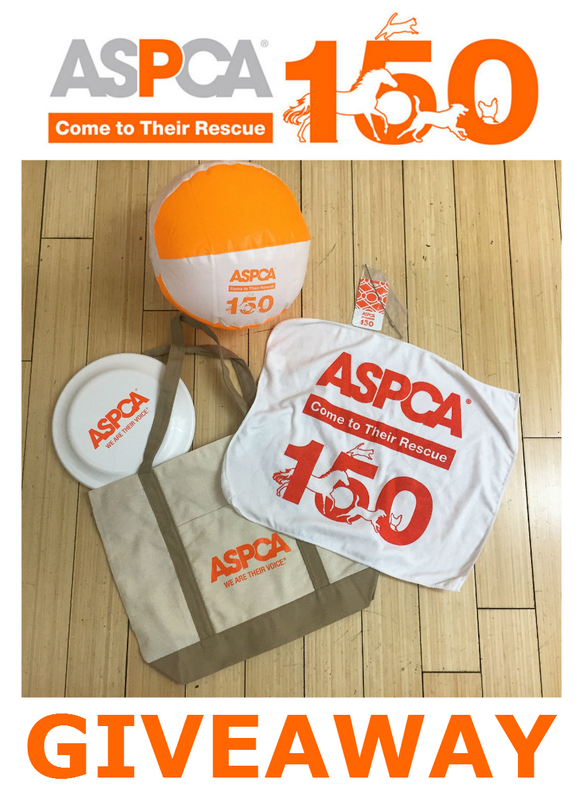 Pledge To Help Animals —And Win An ASPCA 150th Anniversary Gift Pack! 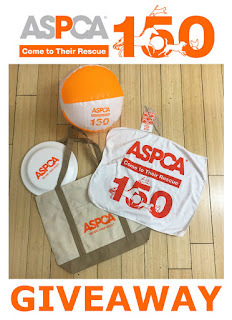 Find out how you can enter to win a commemorative ASPCA150 gift pack at the end of this post! Awesome news alert! On April 10, the ASPCA marked its 150th incredible year fighting animal cruelty and helping to shape the national agenda to improve the lives of all animals. The ASPCA kicks off its 150th yer celebration with 150 Days of Rescue, a nationwide action campaign that seeks to unite the country in making a difference in the lives of homeless and abused animals. 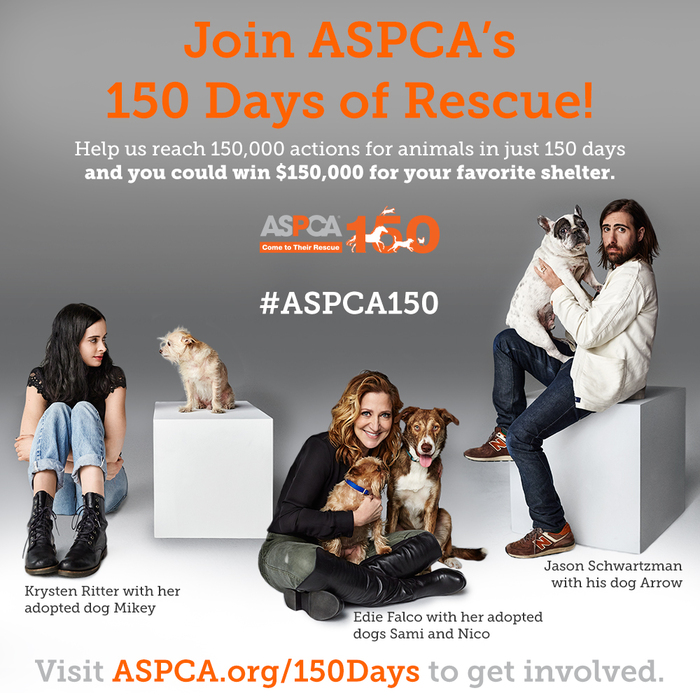 The ASPCA, along with Parental Unit and I, are encouraging our fellow animal lovers to pledge your time between April 10 and September 7, 2016, to help animals in need and to help reach ASPCA's goal of reaching 150,000 actions for animals in 150 days. 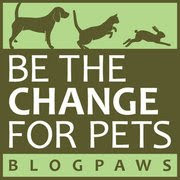 Just visit 150 Days of Rescue and pledge a good deed, like fostering or adopting a shelter pet, or donating your time and/or a small amount of money to your local shelter. And...after you've logged in your work or donation, you'll have an opportunity to nominate your favorite animal shelter to receive a grant prize of $150,000! As if that weren't enough encouragement to join this campaign, the ASPCA created this fantastic and funny video, chock full of celebrity animal lovers, to encourage you to participate. Check it out! Just follow the simple directions to enter via Rafflecopter below. Good Luck! Great campaign! Happy 150th Anniversary, ASPCA! 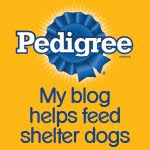 this is pretty cool, love what aspca does! crossing my fingers to get this! thx for the giveaway! Any cause from the ASPCA is right on time for me. I would love to get a beach ball for my furry baby! My three dogs would love this.